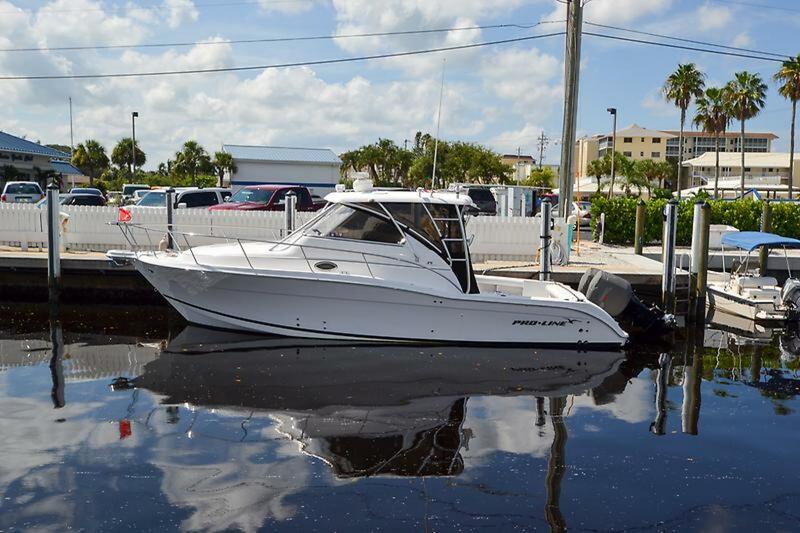 Introduced in 2006, the Pro-Line 35 Express is a well built express with swept lines and the ability to handle what mother nature is dishing out. 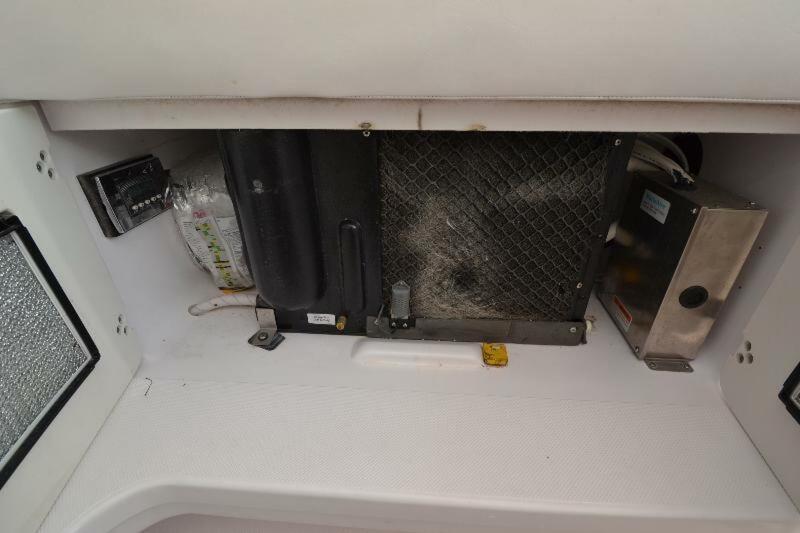 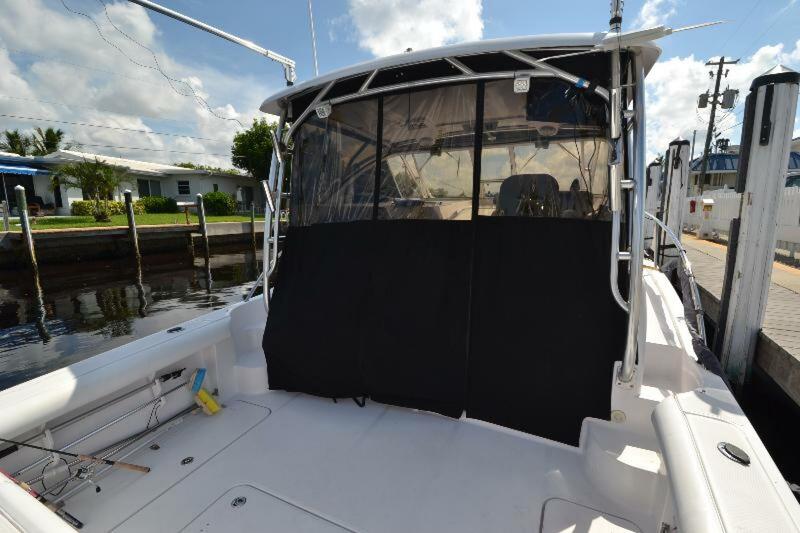 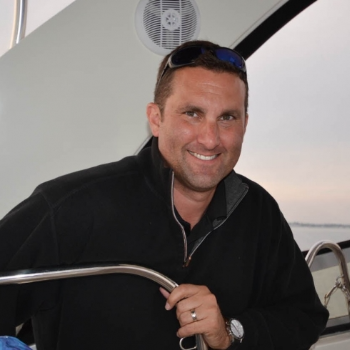 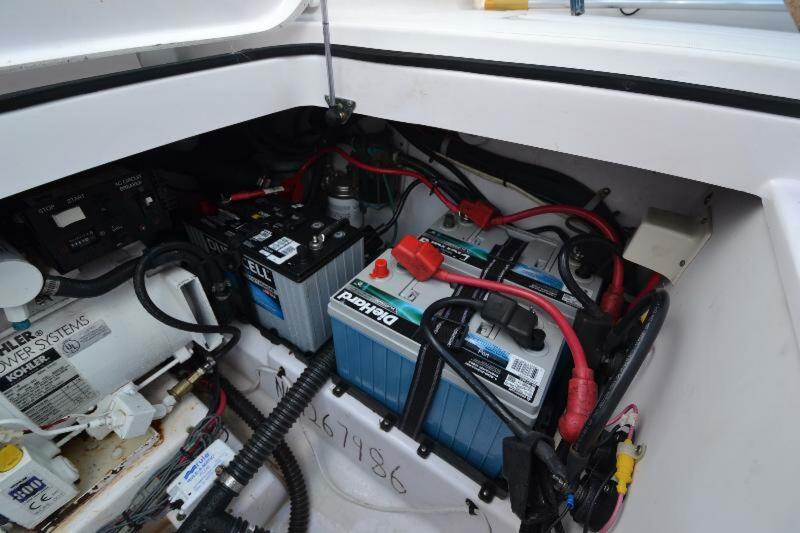 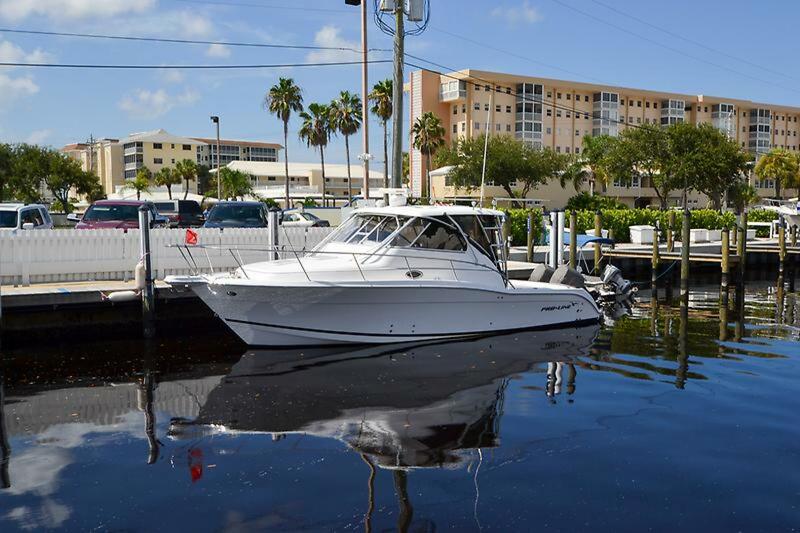 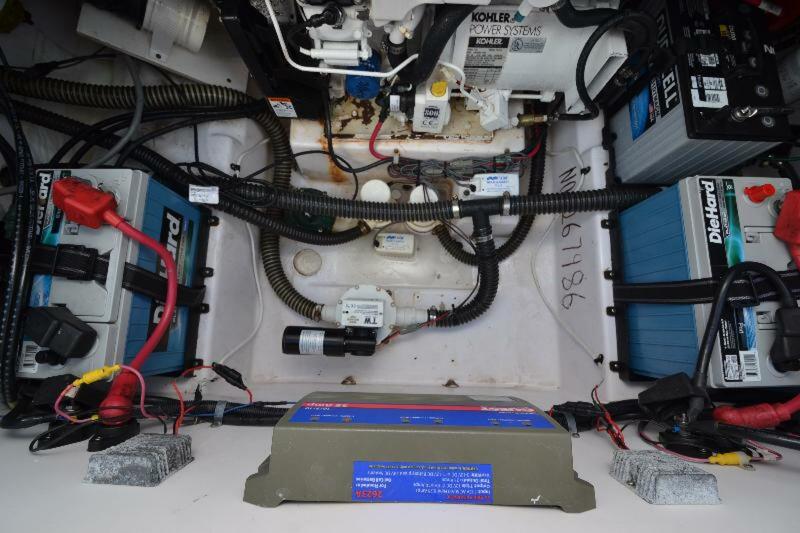 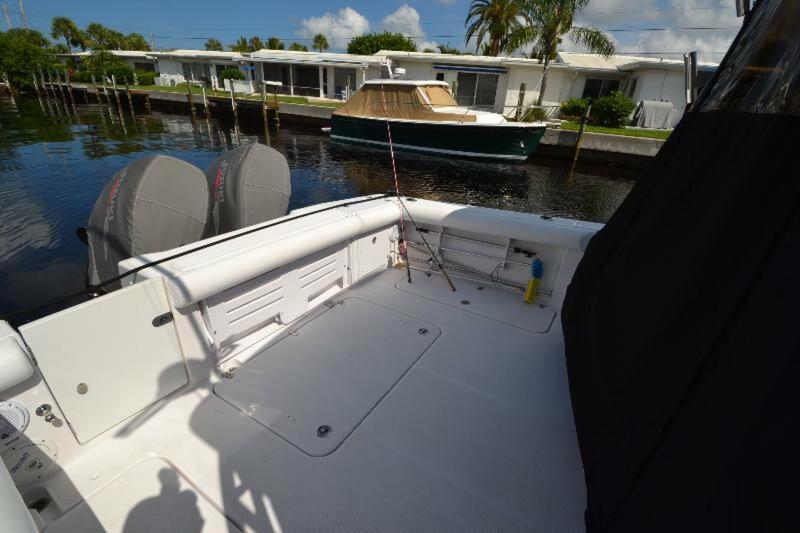 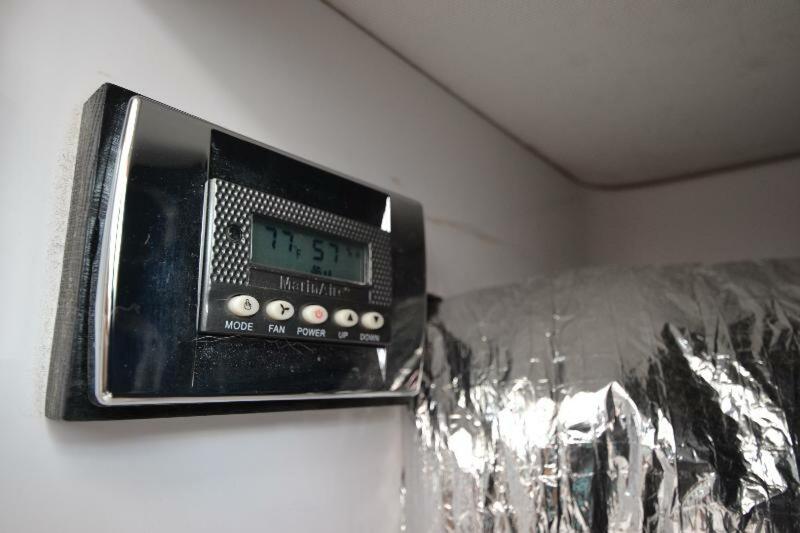 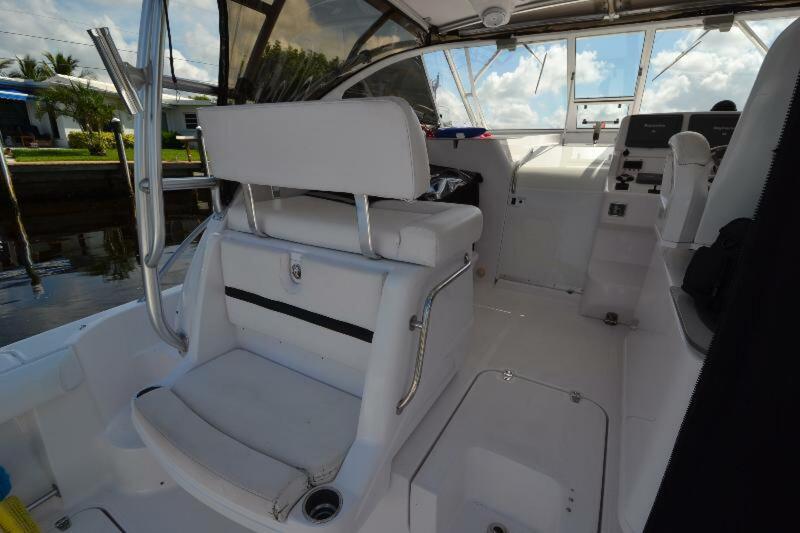 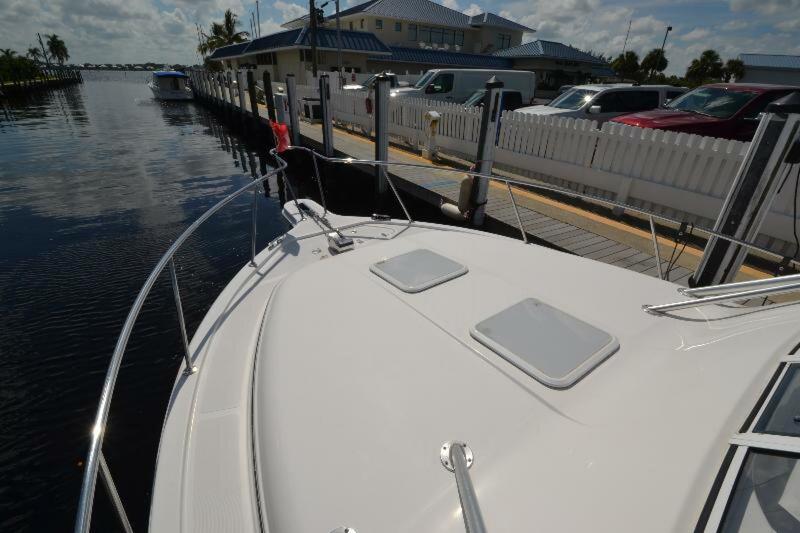 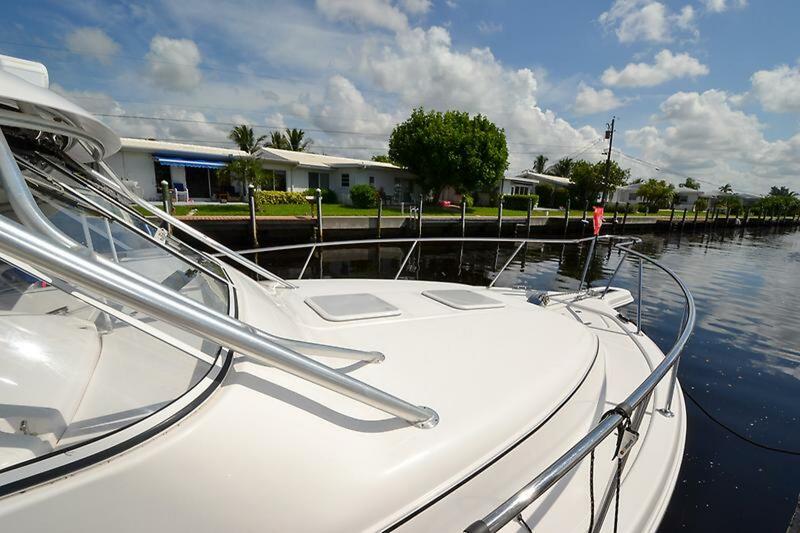 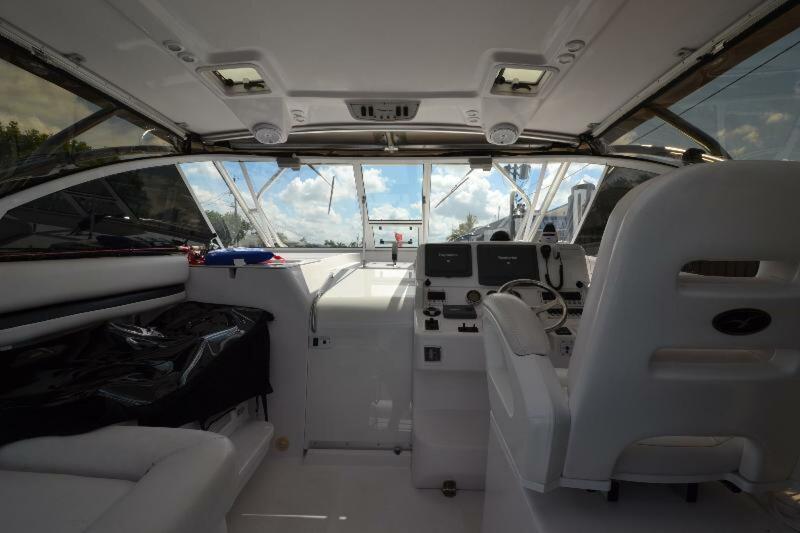 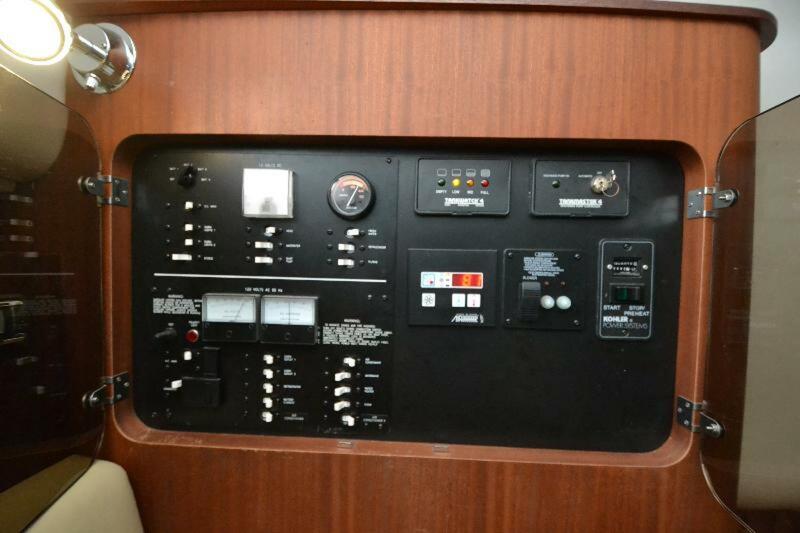 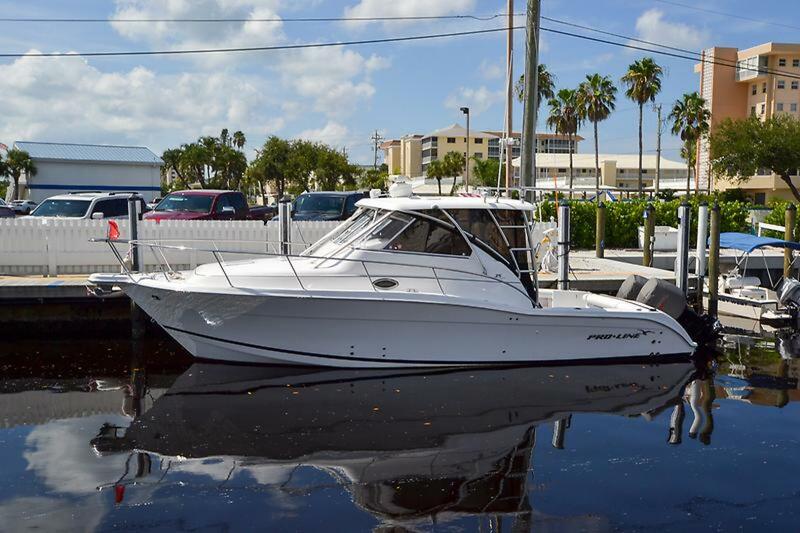 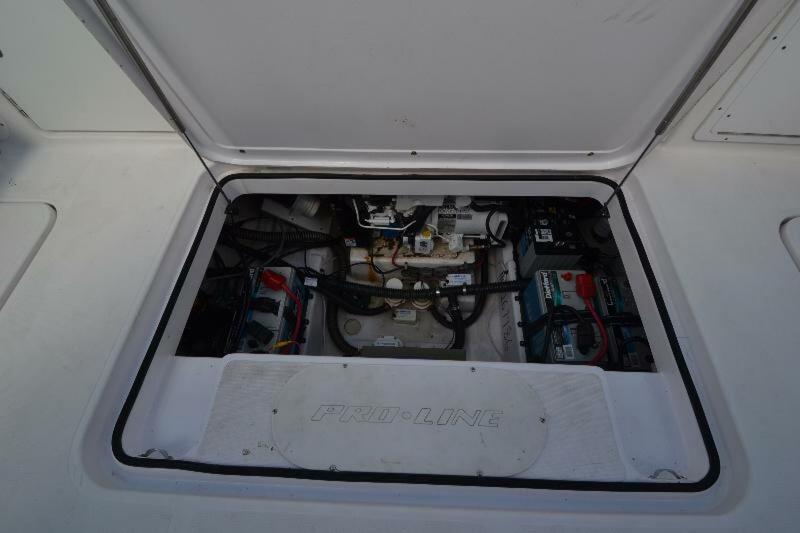 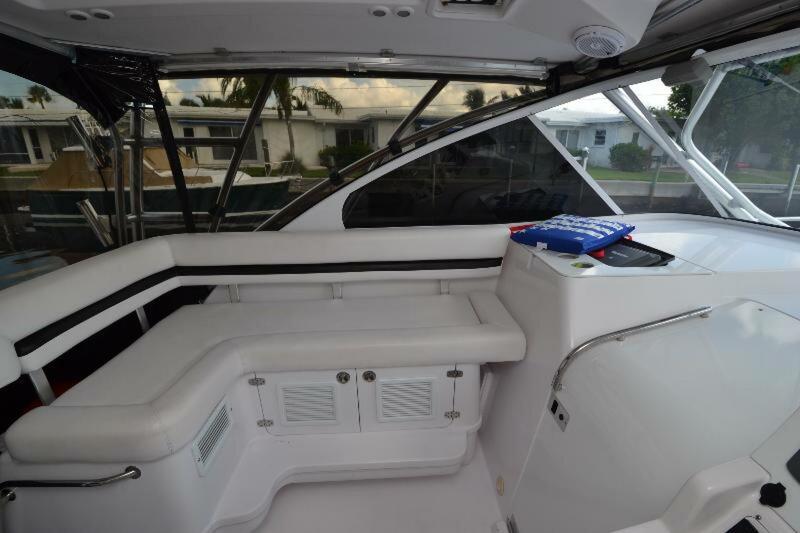 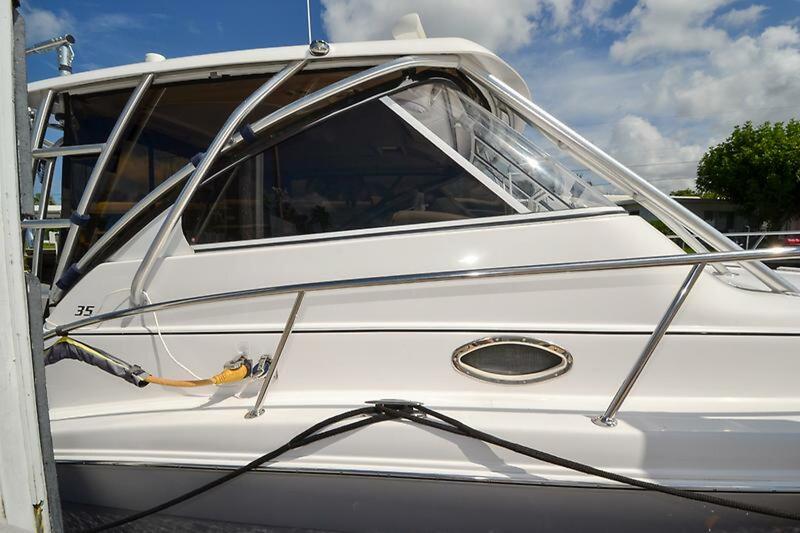 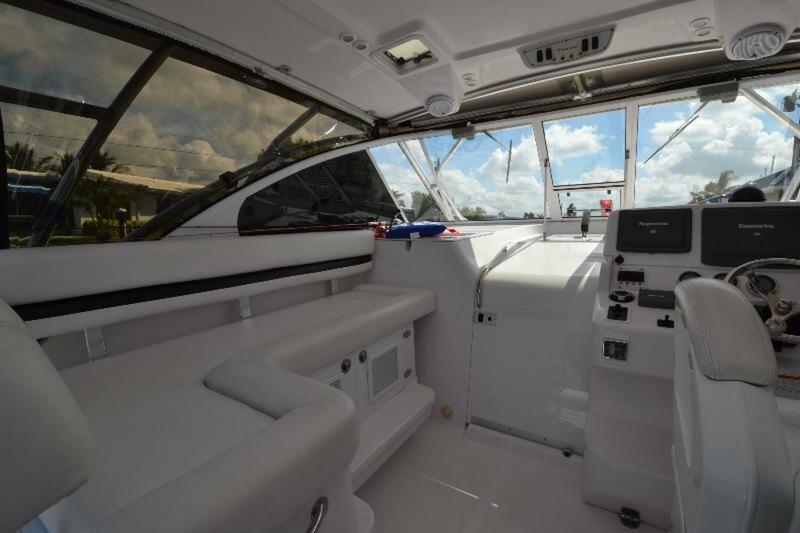 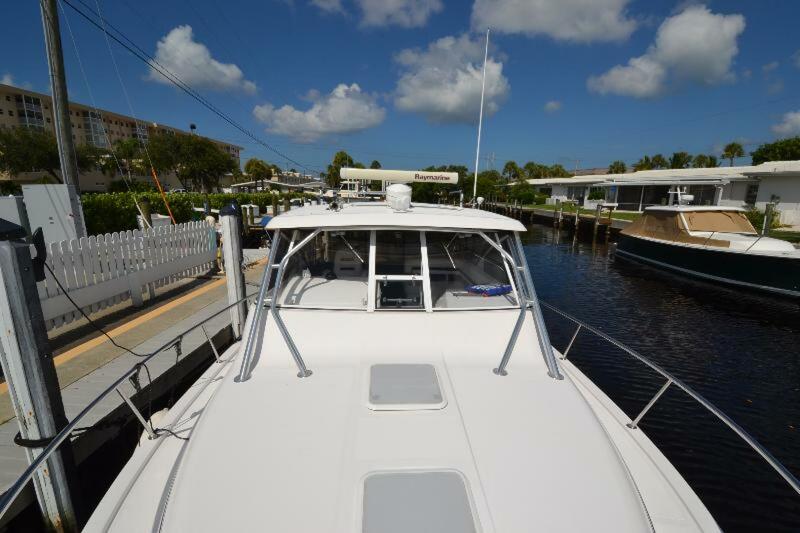 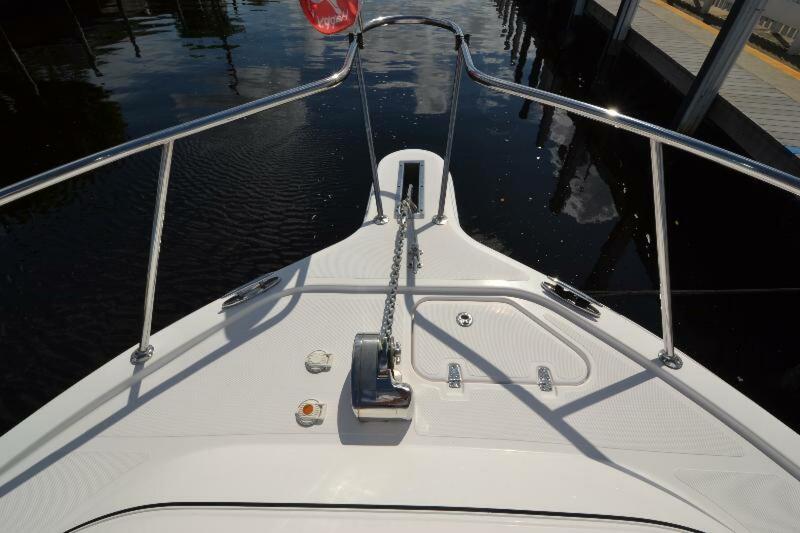 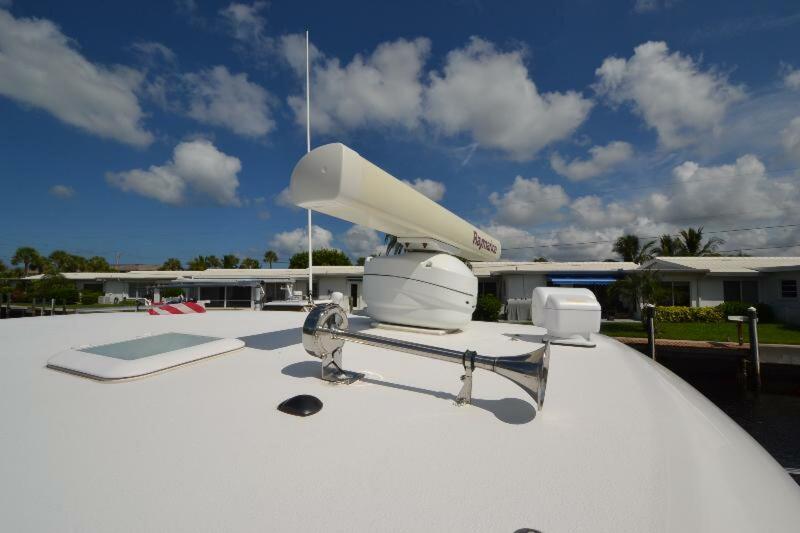 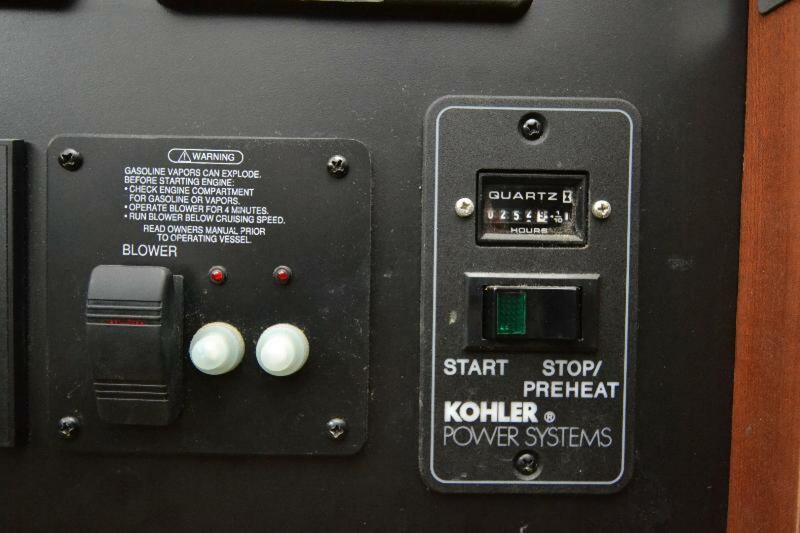 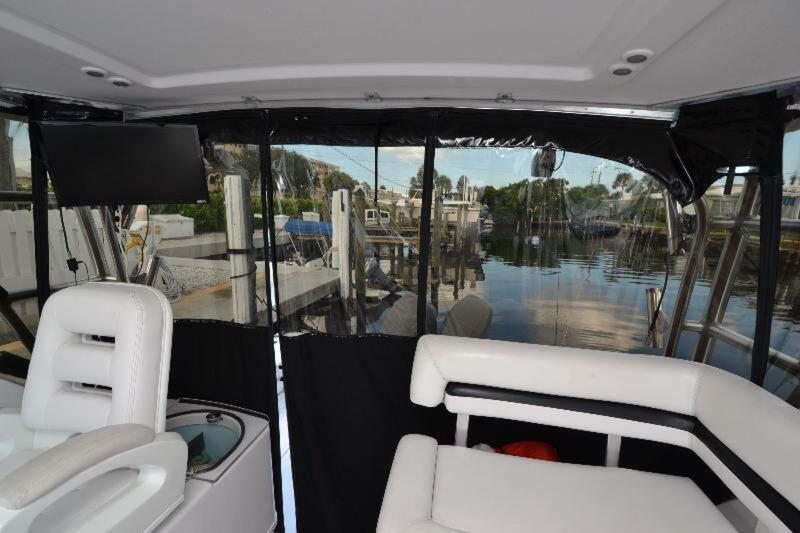 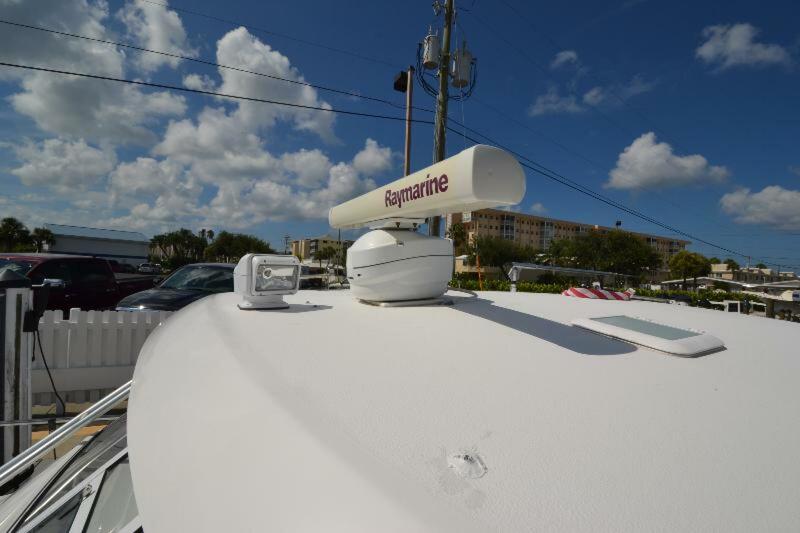 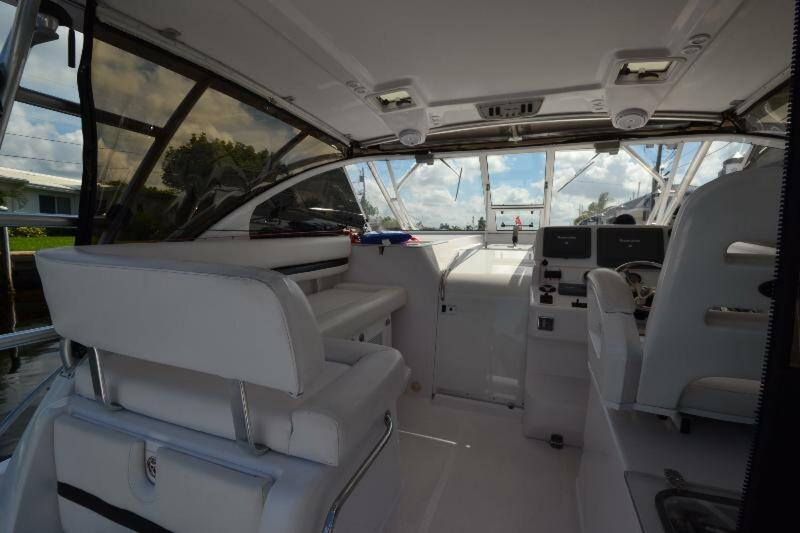 The current owner has added helm A/C, serviced major systems, upgrade enclosure & aft sunshade and has his eyes set on his next boat. 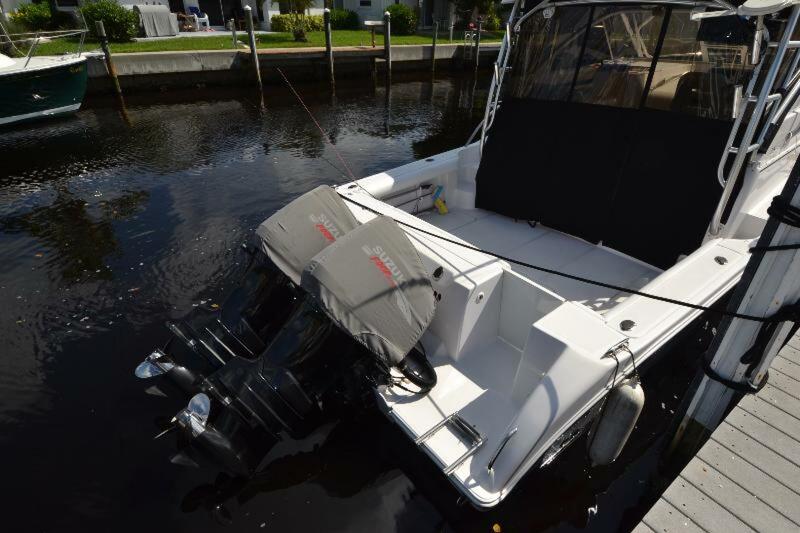 Big outboard boats have become popular in recent years thanks to a new generation of powerful & efficient outboards. 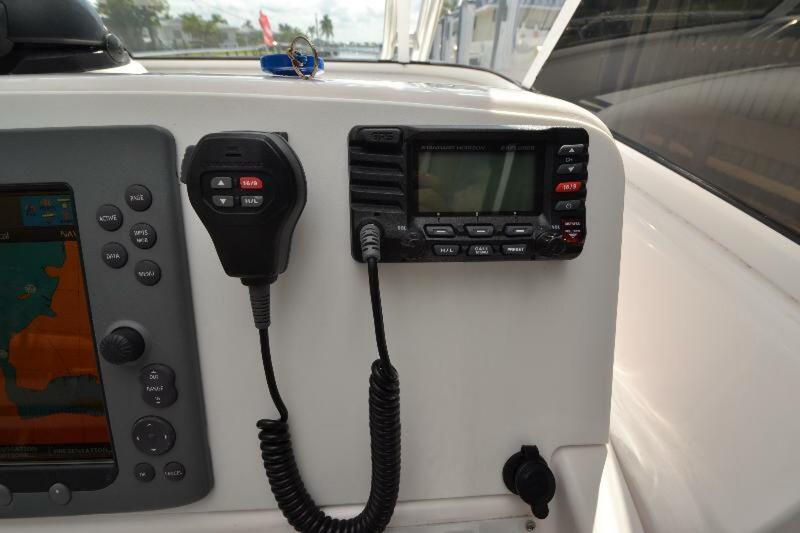 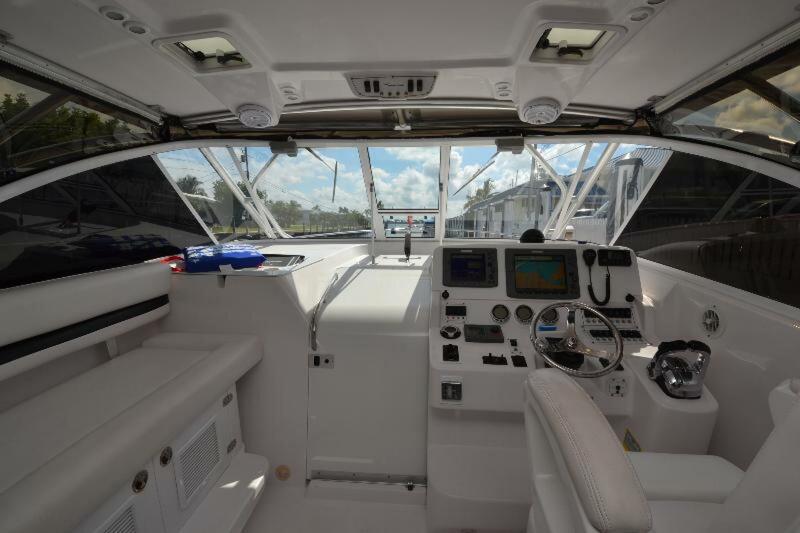 Built for fishing but with many cruising amenities, the layout of the Pro-Line 35 is very similar to most midsize express boats. 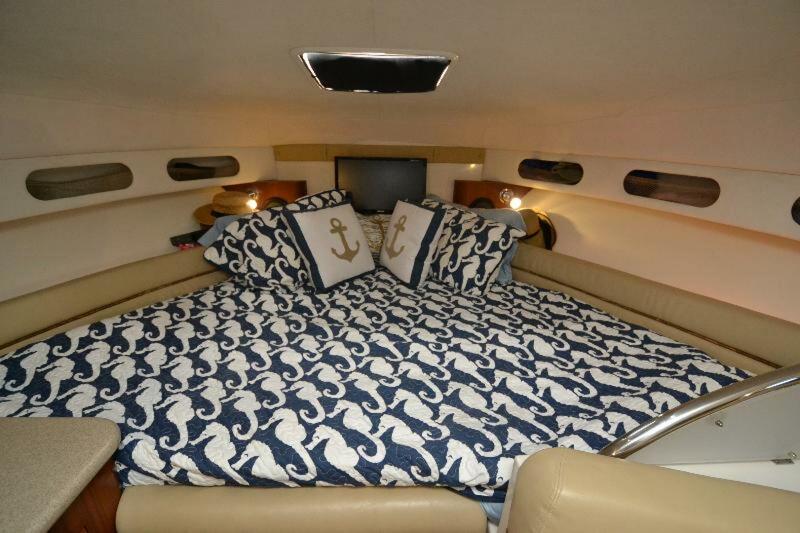 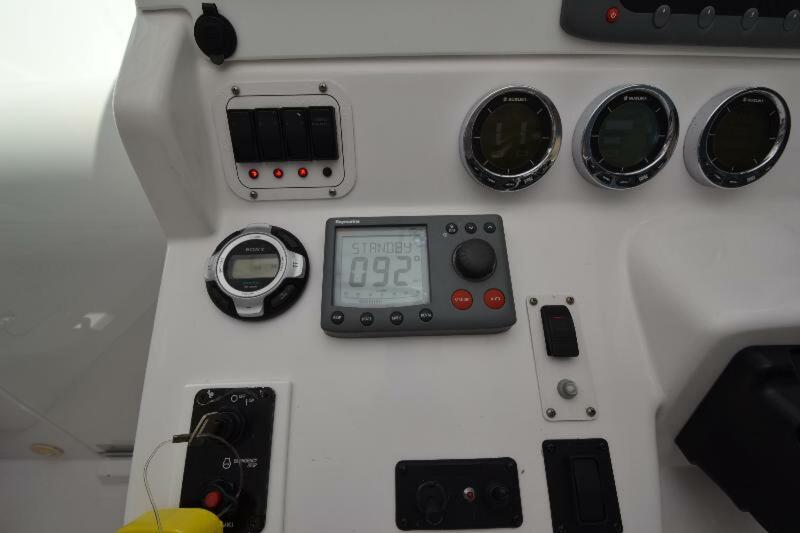 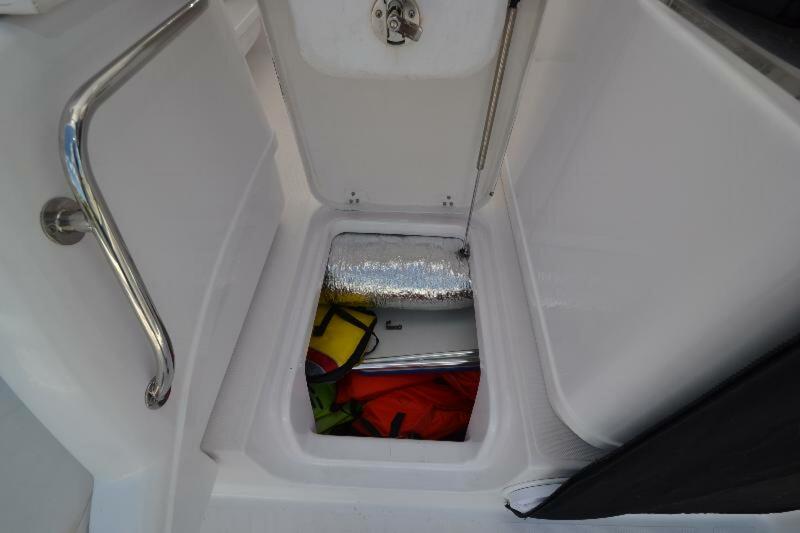 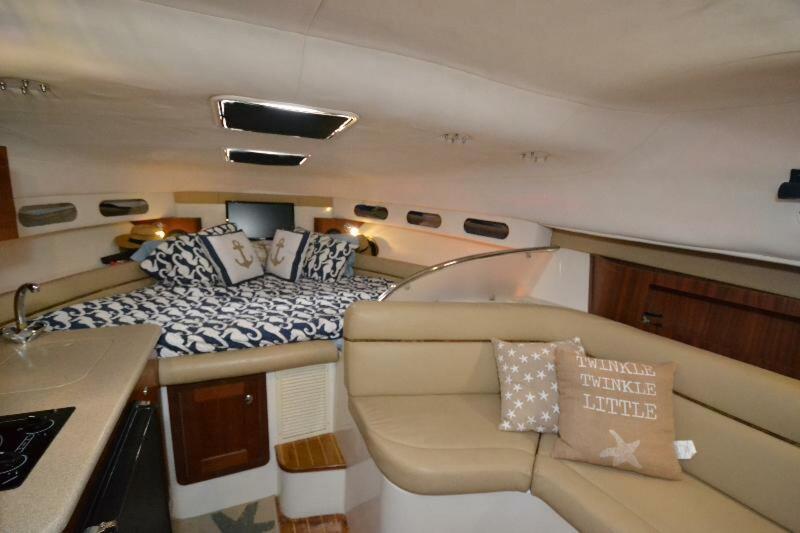 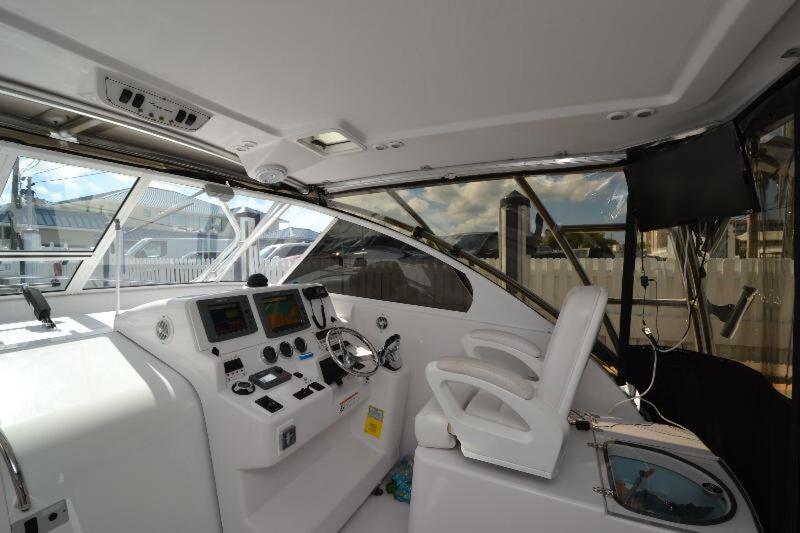 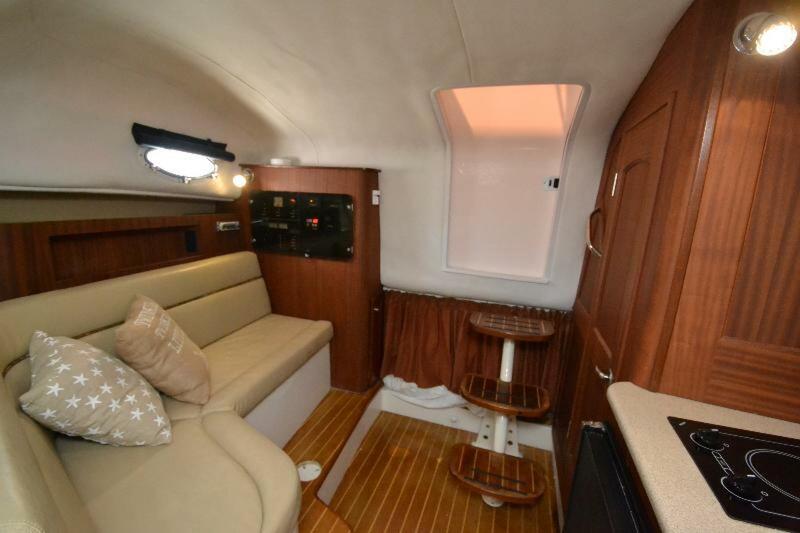 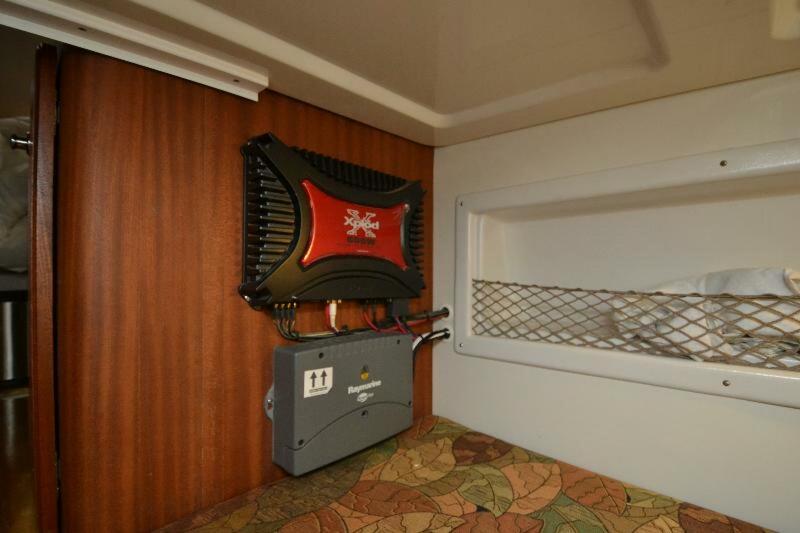 The cockpit is large enough for serious fishing, and her surprisingly roomy interior is well suited for overnighting. 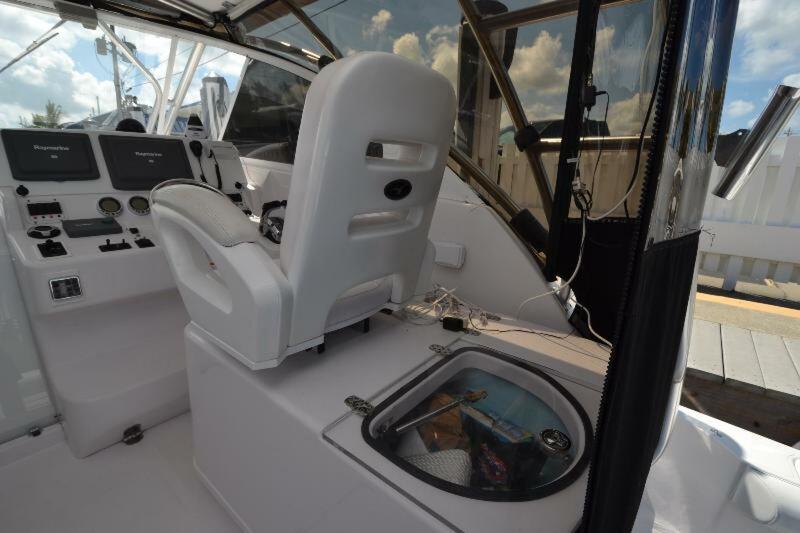 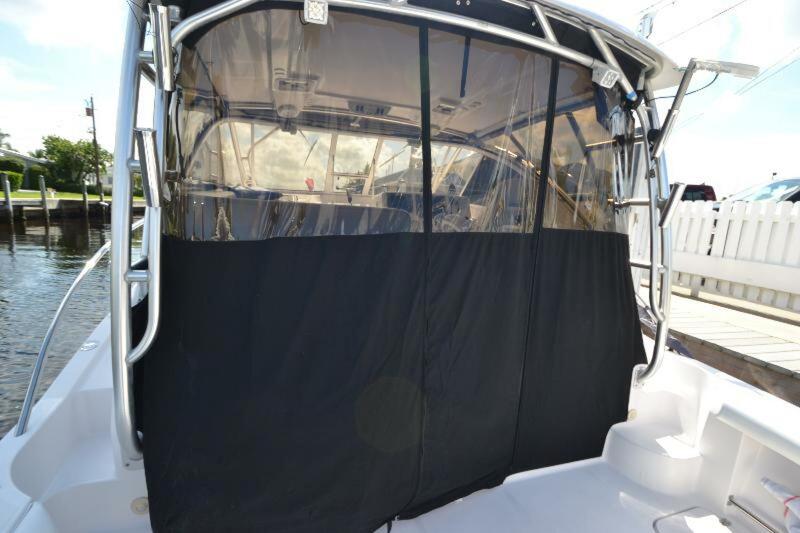 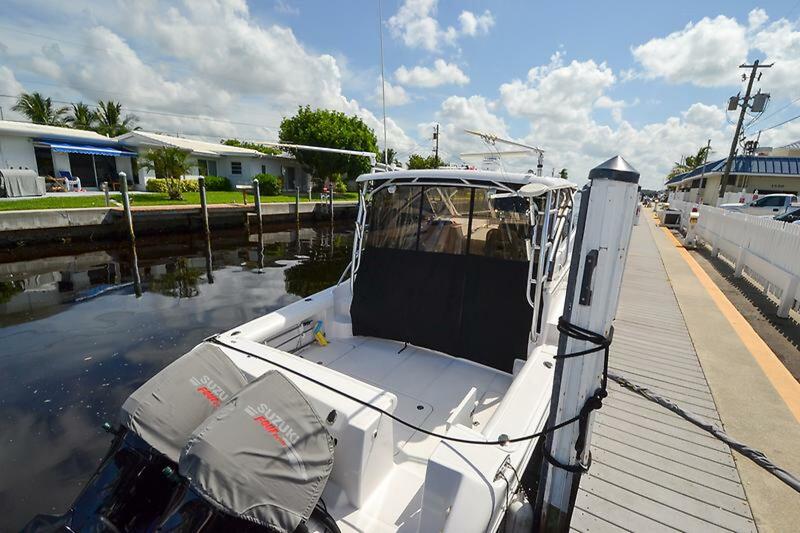 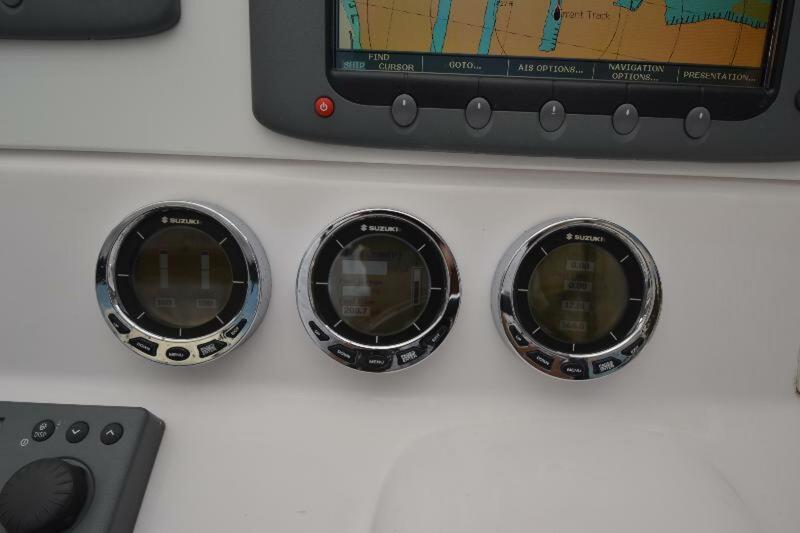 Standard features include an integrated swim platform, bow pulpit, in-deck fish boxes, tackle station, fresh/raw-water washdowns, foldaway stern seat, lighted 45-gallon livewell, pop-up cleats, transom door, tilt steering, windshield vent, cockpit bolsters, cockpit rod storage; and hot/ cold transom shower. 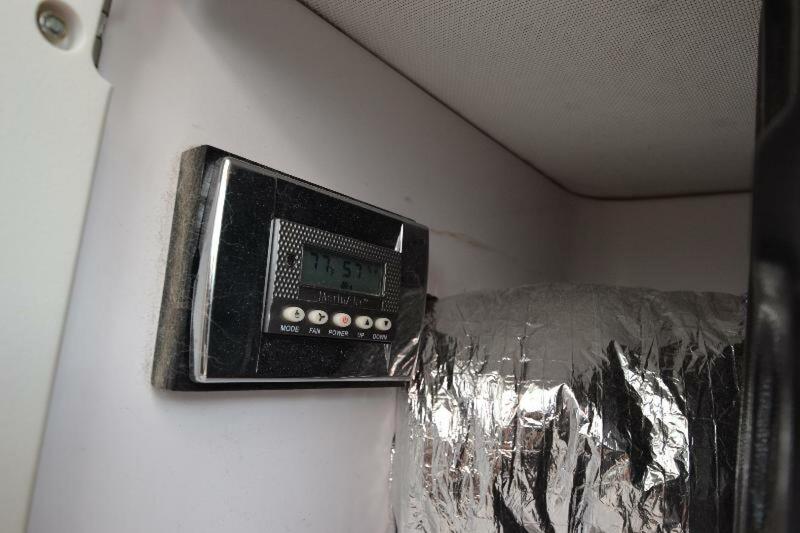 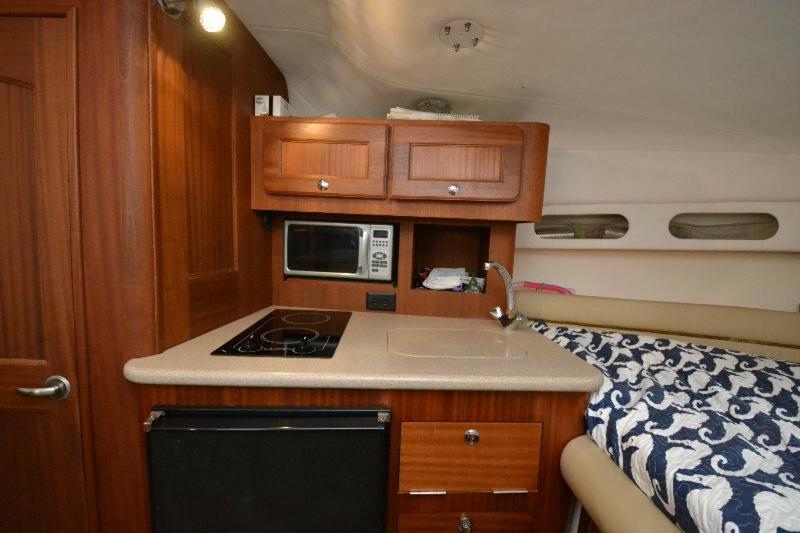 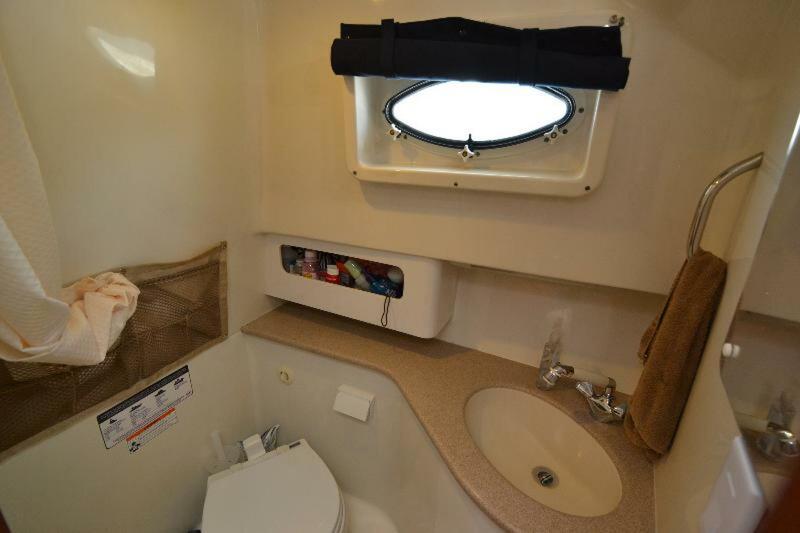 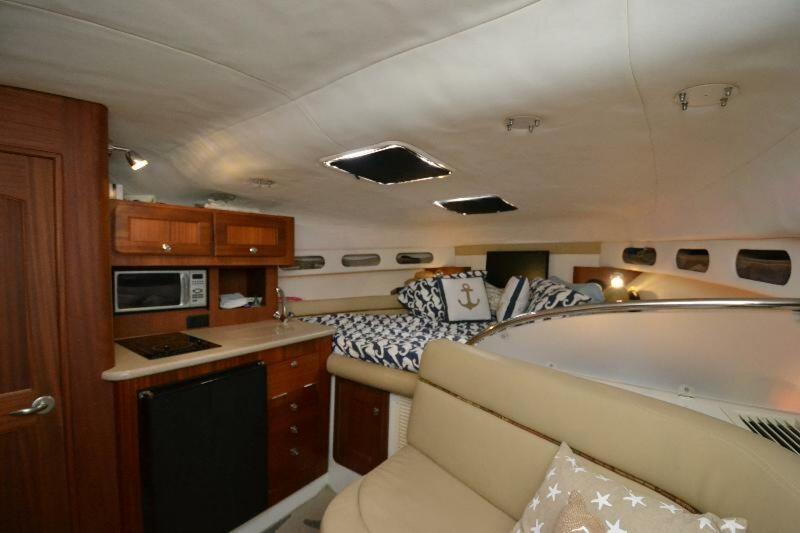 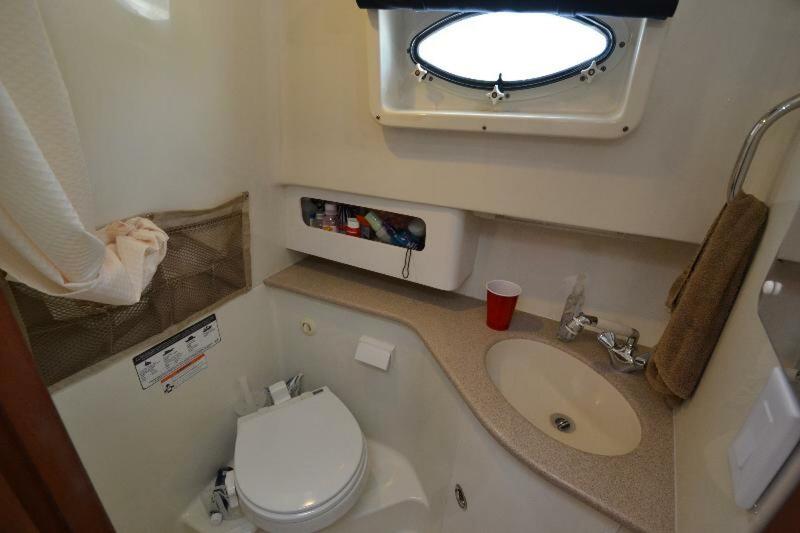 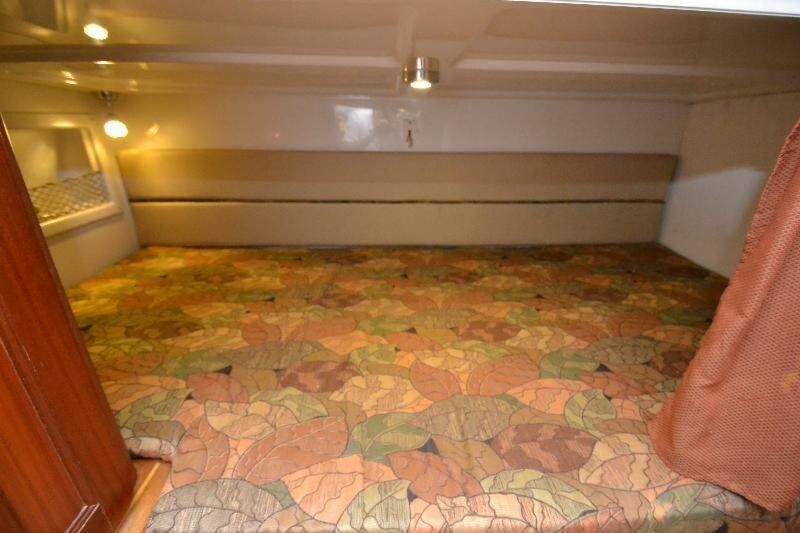 Below decks, the mid cabin interior of the 35 Express with it's teak-and-holly sole, flat-screen TV, enclosed head/shower, and galley with microwave and fridge sleeps 4 to 5. 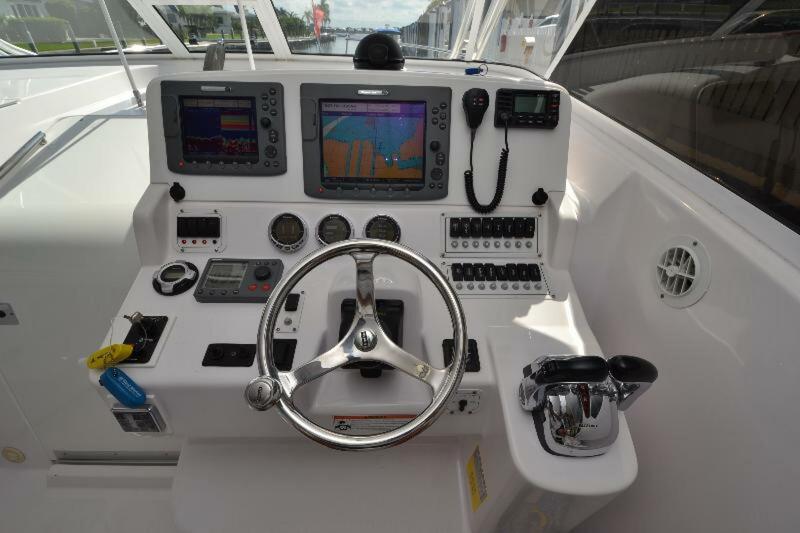 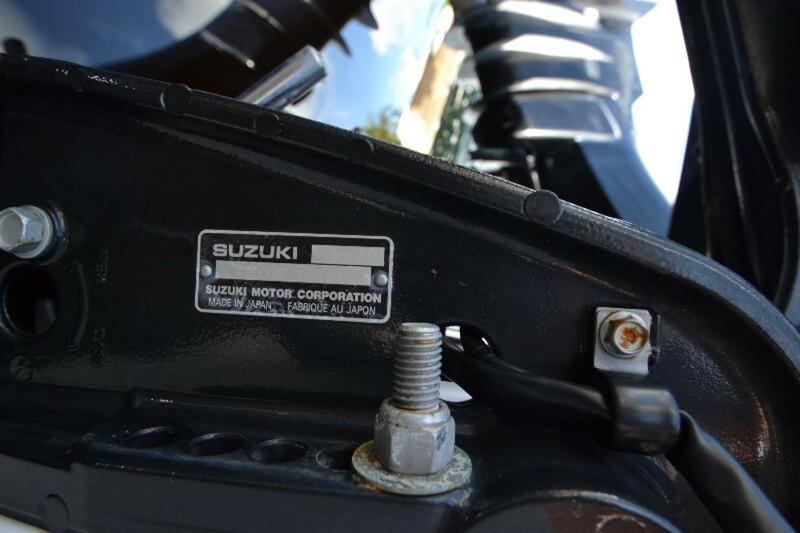 Twin Suzuki 300hp with Digital Throttle tops out at 38 MPH and Cruises at 25 MPH. 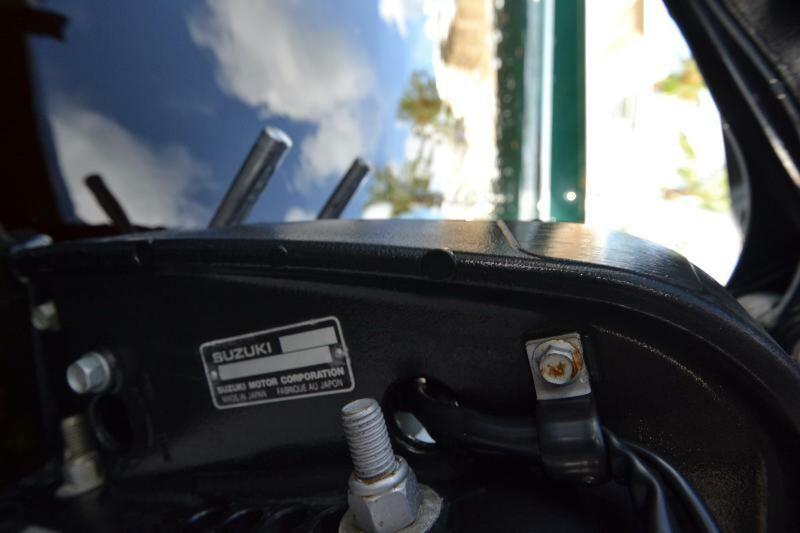 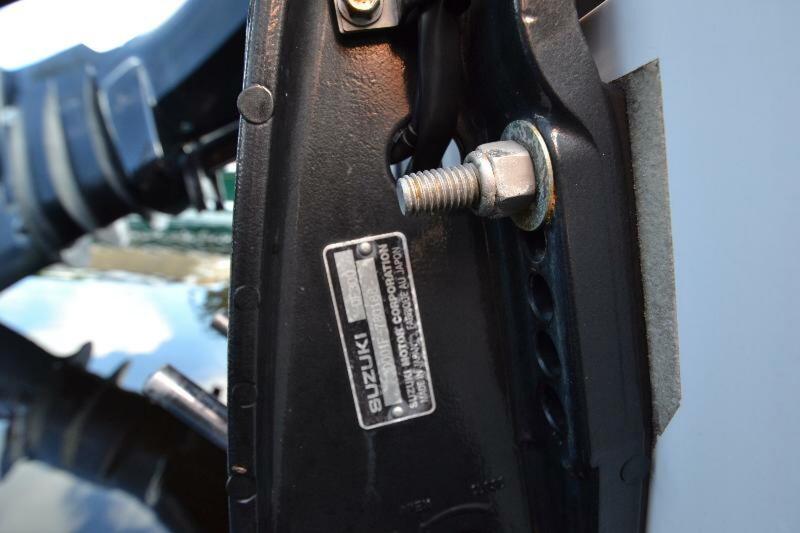 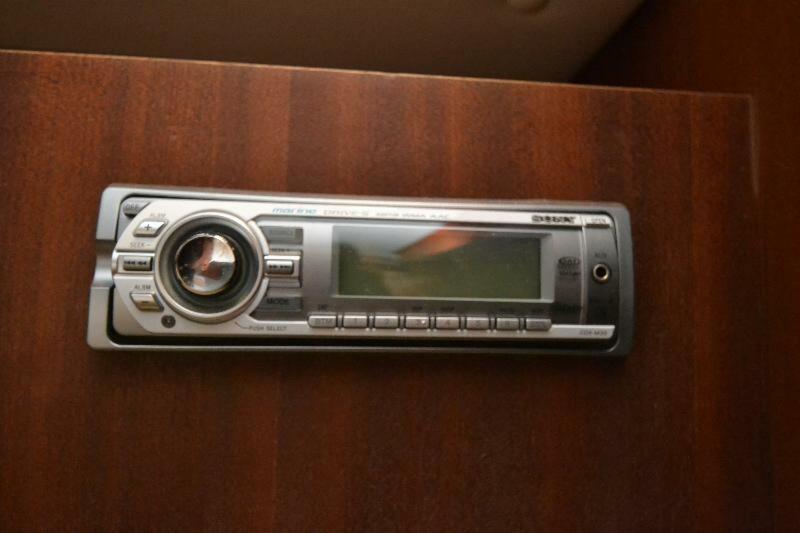 Windshield Wiper Port & Stbd.